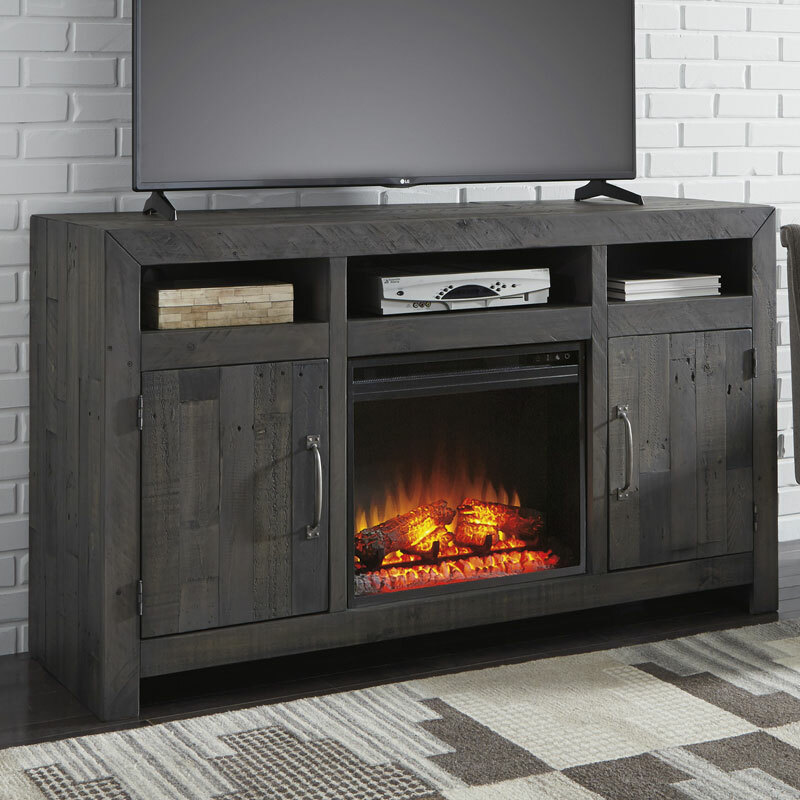 The Mayflyn TV stand with optional fireplace makes what's old, what's new. Serving up a fresh look in urban farmhouse style, it's crafted with reclaimed pine wood loaded with nail holes, nicks, gouges and grooves-marks of "imperfection" for all the more authentic beauty. Offset plank effect and a weathered charcoal gray finish give the ultra-linear profile a casually cool sensibility.